Over 40 but under 50… Is that Masters or Veteran? Cellar door host at Mt Difficulty in Bannockburn, home of sensational Central Otago wines. I believe in two things – Providence and Serendipity and live by the creed “poor is the person whose only wealth is money”! Pylon/Skyline Track on Northburn Station near Cromwell is my ‘bread and butter’ run – good mix of farm track and hills with superb views as reward for effort. Better still I can run there from home. I’ve always been active in the outdoors – started with tramping but got serious about trail running after being inspired watching at the finish line of the Kepler. Challenge in the mid-90s. I ran my first Luxmore Grunt in 1997, Kepler in 1998 and Routeburn Classic in 2002 and haven’t stopped! I love the self-indulgent freedom of running on trails. It’s a matter of balancing family, work and me-time so I can still get my ‘outdoor fix’ for a few hours by ‘speed tramping’ over a trail. As I get older I’m starting to look forward to getting back to multi-day ‘slow tramping’ with my wife Vivienne. Group runs around Central Otago with my fellow ‘Cromwell Runners Group’ (see FaceBook). Training for an event can be a lonely vigil so it’s great to have company and share the joy of running with a rock steady crew of like-minded runners. I’ve done a few multi-sport events over the years to mix up the training regime with some swimming and mountain biking but otherwise it’s just running. I used to pack a cut lunch, heaps of gels, lollies and energy bars plus 2 litres of rocket fuel in my drink but these days I’m more of a minimalist with a few gels and 1 litre of Horleys Replace and/or R-Line. A post-event massage and standing in the cool waters of the Routeburn River are a MUST to aid recovery! The camaraderie of sharing a run over my favourite track, the shear joy of unencumbered running through native bush and over mountain pass, the weather – whatever the weather! the man-hug with Evan at the finish – but mostly just being a part of such an awesome event and the chance of scooping a great spot-prize have kept me coming back! Prepare well on uneven ground to strengthen your ankles, consider race-day logistics of appropriate clothing, food/fuel etc and most importantly, do your ablutions back at the hotel before you get on the bus – seriously! Practice all of these prior to the event. 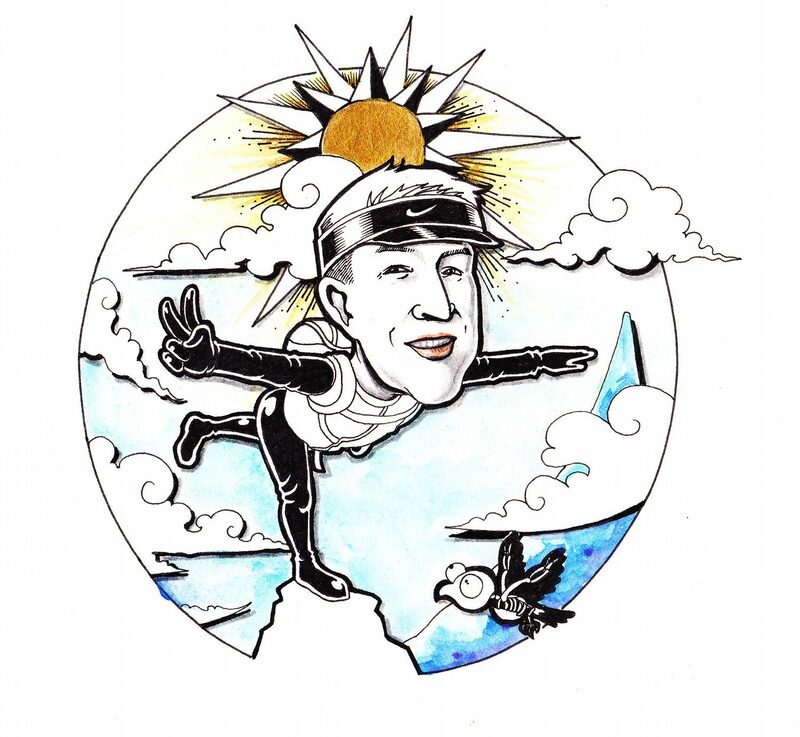 After 9 Routeburn Classics I have given up on trying to crack the elusive 4hour barrier and will adopt a more leisurely pace to savour the company of my fellow runners and marshalls in 2014. Kudos and man-hugs to Evan and his sterling team for persevering with running such a fantastic event – you are Legends! Thank you.